Darth Vader is one of the most recognisable characters in the world. This is the reason why there are many Darth Vader merchandise that is inspired by him. Getting access to quality but cheap Darth Vader merchandise online have been made so much easier. Spending money on quality items that are offered by reputable UK retailers such as Argos, ASDA, and Amazon is a great deal. Chose from various items such as mugs, costumes, action figures, toys, and more. You can save as much as 60% discount on selected Darth Vader items. STAR WARS LIGHTSABER PET LEAD DARTH VADER - Save 37%! 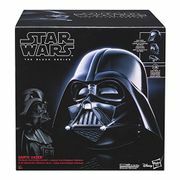 All the best Darth Vader toys, merchandise, costumes, and gift ideas on sale! Darth Vader is a fictional character in the Star Wars movie franchise. His real name is Anakin Skywalker. He appeared in the Star Wars trilogy and served the Galactic Empire after he was corrupted by the dark side of the force. The character was made by George Lucas and was portrayed by various actors. The character of Darth Vader was seen in numerous Star Wars movies. Anakin Skywalker was lured to the dark side of the force by Palpatine. After pledging his allegiance to Darth Sidious he serves the Galactic Empire as Lord Vader. Even after many years, Darth Vader still remains one of the most recognized characters when it comes to sci-fi movies. He is also one of the most powerful Jedi in the Star Wars movie series. He has many powers including telepathy, psychokinesis, and mind manipulation. He is also skilled in using a lightsaber which is the main weapon of a Jedi. Darth Vader is also the father of Luke Skywalker and Princess Leia Organa. He has become one of the most iconic villains in movies of all time. He was considered the greatest villain and fictional character ever by the American Film Institute. Critics also consider him a tragic hero because of his motivations for his family and the greater good of many. If you’re a huge Star Wars and Darth Vader fan, you’ve come to the right place! Here at Latest Deals, you’ll find everything Darth Vader. 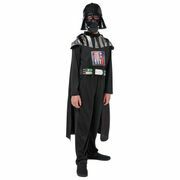 From Darth Vader costume child and mens to wear on Halloween to Darth Vader mask, Darth Vader cloak, and Darth Vader helmet Dark series to add to your collection of Star Wars toys. If you’re looking for affordable quality Darth Vader and Star Wars gift ideas, there are plenty of items you can choose from including Darth Vader action figures, Darth Vader costume replicas, shirts, key chains, and Star Wars mask. There are even cheap Darth Vader home decors and kitchen essentials available such as mugs, dinnerware, toaster, and so much more. There are many Darth Vader inspired items on the internet and you can buy them without compromising your budget. Our massive community of bargain hunters are always sharing verified sales and special offers on Darth Vader items from major UK retailers. We also have a team of money-saving experts who regularly provide essential shopping tips and tricks that can give you some serious money off on your instore and online purchases. Most UK retailers have sale events, flash sales, and seasonal clearances where you can save as much as 60% off on a wide selection of Darth Vader items including toys, shoes, clothes, bags, accessories, and home essentials. You can also expect major price reductions during Black Friday and Boxing Day. But if you want to truly maximise your savings, make sure to use the latest Darth Vader discount codes we have here. There are also voucher codes you can find where you can get freebies or free shipping. The deals and special offers we have here are available for a limited time only, so make sure to take advantage of them right away before they expire. Do not forget to bookmark this page and never miss out on fantastic offers, amazing savings, and everyday low prices from your favourite online shops. 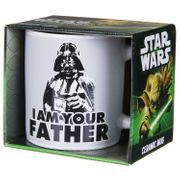 Get the best Darth Vader gift at low prices at Latest Deals! 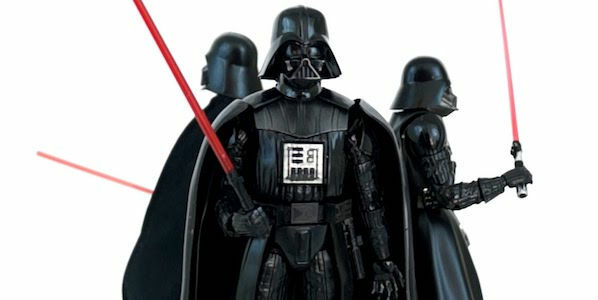 Darth Vader action figures. Every Star Wars fan should have a Vader toy to play with or to have as a collectable item. Star Wars alarm clock. This item is very popular since it is used on a daily basis by students and office workers. Star Wars lamp. This item is used to illuminate bedrooms, living rooms, and offices. Darth Vader watches. A fashion watch that is manufactured in London. It comes with three disc hands similar to the iconic mask of Darth Vader. Darth Vader shoes. Inspired by Vader wardrobe collection, Adidas made sneakers for Star Wars fans. Darth Vader clothing. Star wars fanatics love to wear clothing that has pictures of their favourite characters. Various clothing is available from shirts to shorts, and jackets. Darth Vader Travel mugs. These items are great gift ideas that you can give to a special someone. Darth Vader apron. Wear it while cooking your favourite dishes. You can also wear it as part of your costume for a cosplay event. Darth Vader costume. Wear this item for special occasions such as Halloween, Christmas, birthdays, and more. Darth Vader keychain. Having this item will keep your keys from getting lost and scattered all over the place. Star Wars Darth Vader Virtual Reality Viewer. View your favourite characters and be amazed. Jedi Lightsaber. This is a very cool toy and it lights up just like in the movies. Kids really love to play with this amazing toy. Darth Vader Pizza Cutter. This pizza slicer is very entertaining to use because it has sounds. Darth Vader bracelet. Even girls love the character of Darth Vader. These fashion bracelets are specially made for them. Darth Vader backpack. Put your belongings in this cool backpack and let your schoolmates envy you. A complete guide for using Darth Vader in Star Wars Battlefront 2. Abilities, tips, and star cards.